The constant increase in the demand for animal protein means that animal farming is a rapidly developing sector across Africa. These markets, which are still in the very early stages of development, need to be supported both in terms of the product offer and the services available to them. By offering this range of services, the SOMDIAA Group aims to position itself as a key player in the development of the animal farming sector in the various countries in which the Group is active. The feed formulas also include locally-grown raw materials that provide the energy and protein required to ensure the nutritional optimisation of the product range: maize and derivatives, soya, groundnut, cotton and palm kernel meal. Oyster shells collected along the shoreline are processed and added to the formulas to provide a source of calcium. Products that can be adapted depending on the price and availability of the raw materials used by the animal farmers. Customized formula composition depending on farming contexts. Since 2014, the SOMDIAA Group has been working in close collaboration with MIXSCIENCE, innovators in animal nutrition and production expertise (www.mixscience.eu), to create formulas that reflect the nutritional requirements of different species at each physiological stage of animal development in order to maximise their genetic potential. The teams of zootechnicians and nutritionists at SOMDIAA ensure that the feed on offer contains all of the animals’ nutritional requirements whilst making sure that the mixes remain palatable. Easily digested raw materials are prioritised over others. The SOMDIAA Group production units offer safe and reliable ranges of complete and concentrated feed solutions to optimise the technical performance of animals. 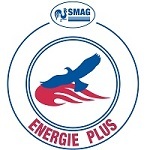 The SMAG markets a wide range of complete nutrition solutions for all types of farm found in Gabon under the brand name ENERGIE PLUS. The SMAG is the only animal feed factory in Gabon. In response to a highly dynamic animal farming market, the SMAG doubled its production capacity in 2015. It is now able to produce 50,000 tonnes of animal feed per year, as opposed to 25,000 tonnes in 2011 and less than 5,000 tonnes in 2004. In 2016 the SMAG produced nearly 30,000 of nutritionally complete feed, of which more than 20,000 tonnes were sold to farmers in Gabon, whilst the remaining 10,000 tonnes were consumed at the Nkoltang production site. The Société Camerounaise pour l’Elevage et la Provende (Cameroonian Company for Animal Farming and Feed Supplies) markets a range of concentrated nutrition solutions to feed suppliers and farmers of laying hens, broilers and pigs across Cameroon. Feed which is rich in minerals, vitamins and other added substances forms the basis of the complete nutrition given to animals. Established in Douala in 2014, the production unit now produces nearly 2,000 tonnes of concentrated feed each year, which equates to a consumption rate of 30,000 tonnes of complete feed for farmers. The safe and reliable formulas on offer can only confer their best potential when fundamental animal farming techniques are strictly adhered to. Thus, it is essential that many other variables, such as water quality, availability of necessary equipment, atmosphere in the farm buildings, feed distribution methods and the quality of grinding and traceability of raw materials for farmers mixing formulas on site and for feed suppliers, are all carefully monitored in order to optimise client performance. To assist in this the SOMDIAA Group technical sales teams, working in the field alongside farmers, provide customized support and high-quality technical consultancy in order to support farmers on a daily basis in improving the technical and economic performance of their farms. Technical results and health and safety practices are therefore subject to regular monitoring and constant attention.